Praise God with us for the strong financial ending to 2018! Pray with us that just like men from the East came to worship Jesus, many more men/women from the “Middle East” would come to worship Jesus! Pray for positive impact by ministries in the West Bank throughout the new year! 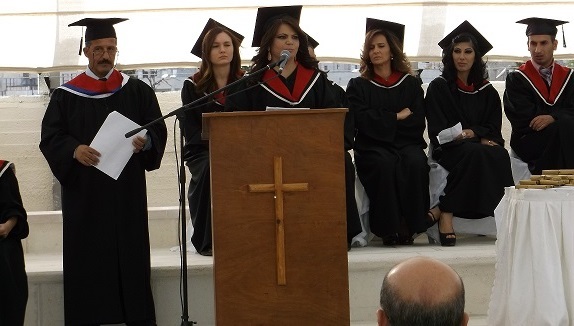 Pray with us for more financial resources from Canadians to support much needed scholarships for BethBC students…in Bethlehem, Nazareth, Gaza and around the Arabic-speaking world via on-line studies. HOPE will, when the needs present themselves, equip short term mission teams to provide medical assistance and/or support local medical personnel to provide necessary treatment. In 2013 we took a team of 16 individuals from all across Canada to provide medical assistance in the form of audiology and dental clinics. 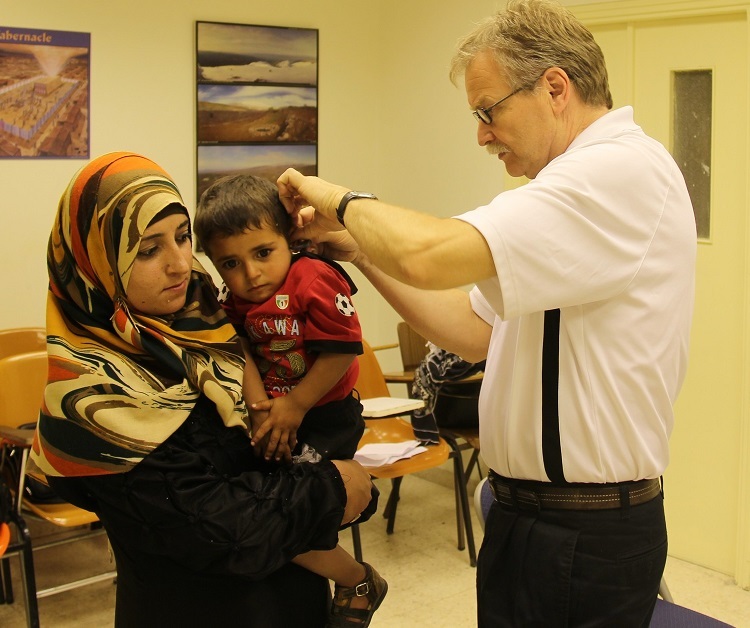 Pictured above Dr. Brian Field, Meridian Hearing in London, provides hearing aids to a young patient. Thanks to Dr. Field’s partnership, HOPE and our team were able to care for and provide hearing aids for 107 patients over one week. HOPE is also very actively engaged in providing humanitarian aid to families and children in the Bethlehem region through partnership with a local agency, The Shepherd Society. Through the Shepherd Society (SS), HOPE and our generous Canadian partners support families with basic necessities of food, rent and medical expenses. 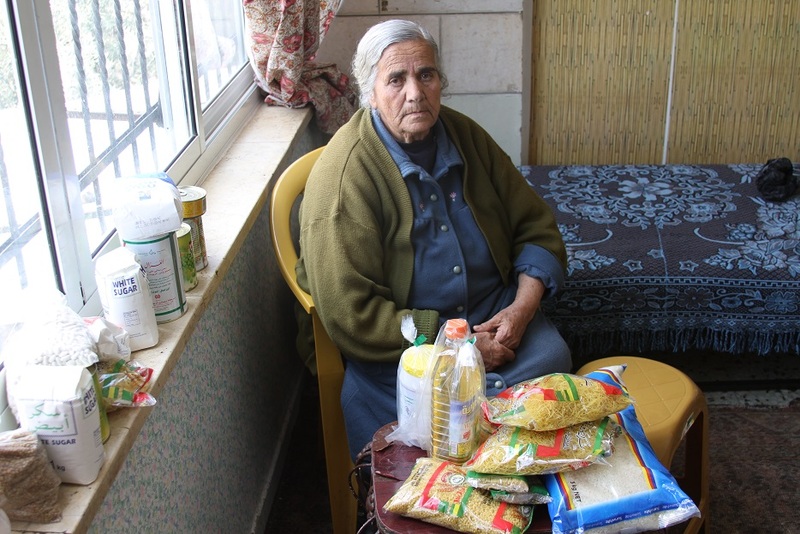 Above, a woman in Bethlehem receives food staples. 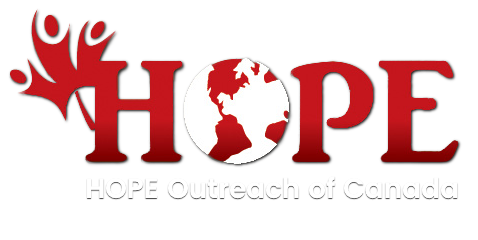 HOPE Outreach of Canada is dedicated to sharing the love of Christ world wide and particularly in the Holy Land. 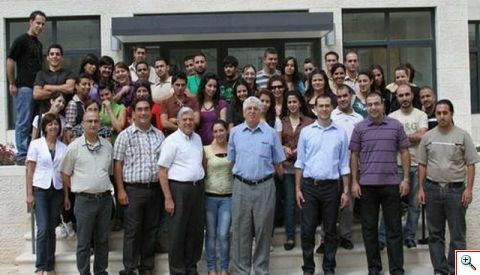 In an effort to bolster the struggling and persecuted church there, HOPE Outreach provides scholarships to students in biblical studies at Bethlehem Bible College (BBC). It has been our privilege to support the church in this way since 2008. Each year thanks to the partnership of caring Canadian Christians, HOPE provides much needed scholarships to numerous students at BBC. Pictured above is Sandreen, a former scholarship recipient, who was the BBC valedictorian for the graduating class of 2013. Bethlehem pastor and part-time teacher at Bethlehem Bible College, Nihad S. sat down with HOPE Executive Director, Leslie Bartley, to talk about the impact that BBC has in Bethlehem. Listen to him share what a blessing BBC is to the Bethlehem community and beyond.